Clay design starter could be something that you need to know so, it would be easy for you to follow our tutorials in this website. Most of the time we start our craft with clay basic shape, especially the ball shape. I would normally change the ball shape to other shapes like cone, square, cylinder or oval to form body parts of the figurines. In fact, we also start with the basic shape when making the flowers. So, it is worth doing some practice. In that page, you can see we make animals like octopus and bird with only 1 or 2 clay basic shapes. Other clay design starter elements you might need to master probably is the colors and materials. start your craft with 3 basic colors & create many more colors from these. The clay ruler helps you to duplicate the same colors again and again. 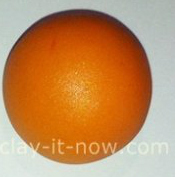 checkout what clay to buy page if you want to buy ready-made clay. In our clay recipes pages, we share various type of homemade clays we've tried with suggestion which one is suitable for certain type of craft models. 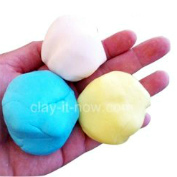 We also have the classic homemade clays like salt dough, no cook play dough and candy clay. Surely, you'll have fun exploring the recipes. Choose one that you think suitable for your crafts. Our basic tools are very simple. 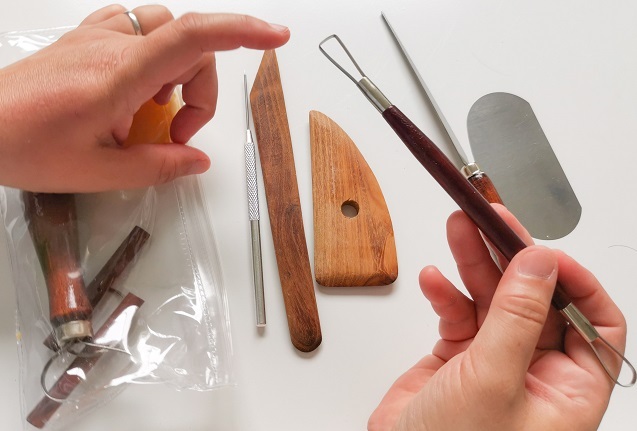 In fact, some are from our kitchen or do-it-yourself tools. We also share our texture tool to make the effect on the clay like making grass or wool winter coat from toothpick. 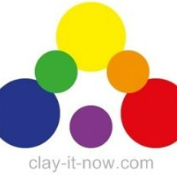 And, if you want to buy the clay tools, we have gathered the information you need at Clayitnow's Amazon store with information on the price and type of tools for gift or beginners.